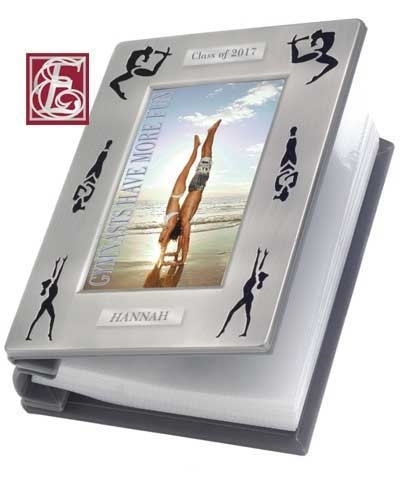 Gymnastics Silhouette Picture Frame. Gymnasts work for months for that one "perfect moment", and usually you have several shoe boxes full of those "perfect moments". With this lovely velveteen backed engravable chrome picture frame, you can display these "moments" in elegant form. 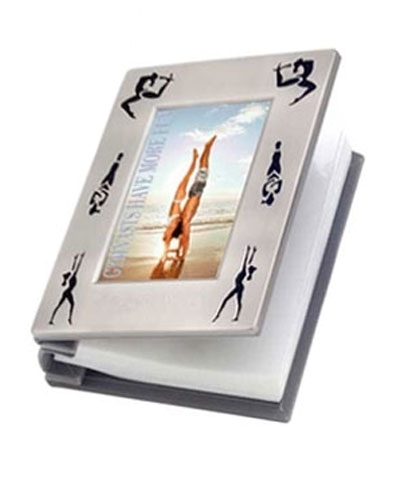 This Gymnastics Picture Frame is 5.25'x6.75' and holds a 3"x5" photo and features cutout Silhouetted figures.